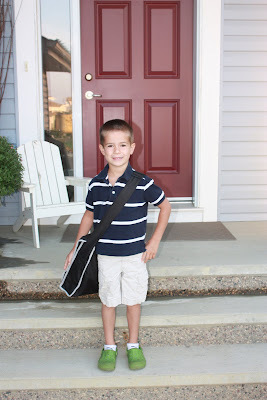 The Bollmans: Jakob's First Day of Grade One! 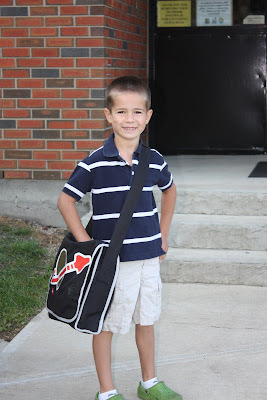 Jakob was so excited for his first day of Grade one! He wasn't nervous or scared at all! He knew the school already and who was going to be in his class. He walked into school like a pro. What a big boy! So proud of his new Lego bag! 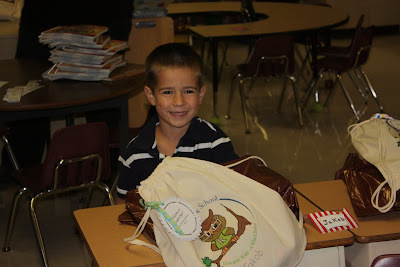 Jakob at his desk, with his new school supplies and bag of goodies from the school. A German tradition is to give the kids a "schultute" on the first day of Grade one. It's filled with candy, toys and school supplies. 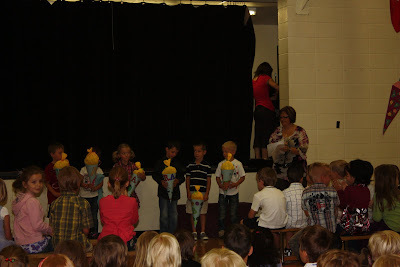 This picture is the principal presenting each grade one with their schultute.